Providing increased flexibility and cost effectiveness, RingCentral’s platform offers much more than traditional office phone systems, VoIP business phone service, or virtual PBX. It is a comprehensive platform of features that unify voice, SMS, team messaging and collaboration, conferencing, video meetings, webinars, contact center, and fax, empowering today’s mobile and distributed workforces to be connected anywhere and on any device. Eliminates geographical borders by now offering a truly local solution throughout the world. Specifically, for European countries, service includes local numbers, support, and currency billing. A single, unified experience for all of RingCentral Office’s communications and collaboration capabilities. RingCentral’s unified client brings all modes of communication into one place, reducing the time users waste switching between apps and device endpoints. This workspace is one of a kind and includes team messaging, file sharing, gifs, calendars, project management, and even more collaboration features, with all of RingCentral’s modes of communication in one place. 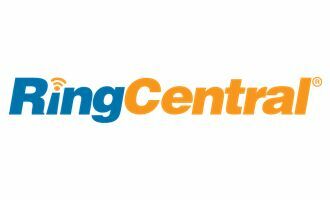 Capabilities provide workflow solutions while offering the ability to build customized solutions or select the desired apps available on the RingCentral Connect Platform™. Increase productivity and adoption while empowering users to effortlessly have all business tools at their fingertips.